Emerald Coast Air not only provides top rated air conditioning and heating services, but we offer financing too. More and more homeowners are choosing to finance their new air conditioner and heating system. Emerald Coast Air has come up with five reasons why financing your new system is beneficial to you. 1. Financing allows you to purchase a higher efficiency system. A high efficiency system not only provides a higher level of comfort but it saves you money on your monthly energy bills. Many times the cost savings offsets the low monthly energy bills. After financing is completed, you still save money in lower utility bills and experience comfort on a higher level. 2. Financing allows you to save your cash for other uses. In today’s economy, the cost of living is always on the rise with a family and a home providing comfort and reliability is top priority. In order to do this you need an air conditioning and heating system that provides good air quality, cooling in the summer and heat in the winter. When financing your new air conditioning and heating system or emergency repair you are able to use your cash for other uses and still have peace of mind that your family is safe and comfortable. 3. Financing helps close the economic gap in your ability to get heating and cooling back. Typically, no one is prepared financially or emotionally for your air conditioner and heating system to die. These breakdowns always seem to happen during the worst times. Without an air conditioner in the summer, mold and mildew could grow. Without heating in the winter, your pipes could freeze and burst. Financing helps close the economic gap in your ability to get heating and cooling back into your home and provide safety for your family and your property. 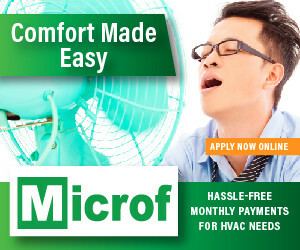 Check out our finance options today, we offer financing for all your heating and cooling needs. Apply Today. 4. Financing allows you to upgrade your air conditioning and heating system. Choosing to finance allows you to choose the air conditioning and heating system that you need instead of the one you can afford. Prior to your systems breakdown, if your home had rooms that had hot or cold areas, financing allows you to upgrade your air conditioner and heating system to one that can provide comfort throughout your entire home. 5. Choosing to finance helps, you take advantage of seasonal specials. Going without an air conditioner and heating system until you have the right amount of cash, not only means you could miss out on specials and incentives that could reduce the cost of your new system, but also means that your home and your families health could be at risk. When you choose to finance, you have monetary funds that are readily available. 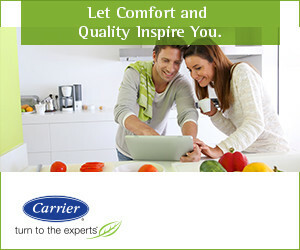 At Emerald Coast Air, we care about your health, your comfort and your home. We offer many different finance programs that could be beneficial to you. If you have any questions about our air conditioning and heating finance programs, please contact us. Our friendly and knowledgeable staff is waiting for you to call and will help you find the right finance program for your new air conditioner and heating system or emergency repair. Choose Emerald Coast AC – Your Local Financing Choice!